13,000 tonnes of food and medicine will be unloaded in Mogadishu today as Somalia suffers through its worst drought in living memory. 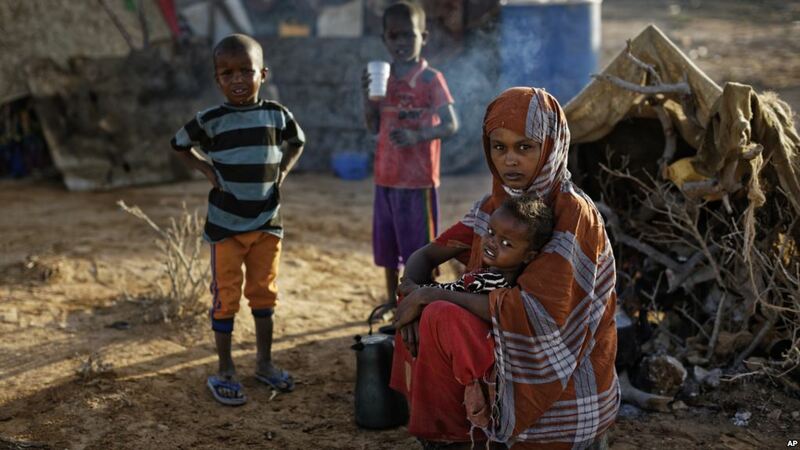 One in every two Somalis are in need of aid according to the UN and 500,000 have been forced to leave their homes in search of food, water and medical assistance. A recent cholera outbreak has killed hundreds and will impact the lives of 50,000 in the coming months according to the World Health Organisation. 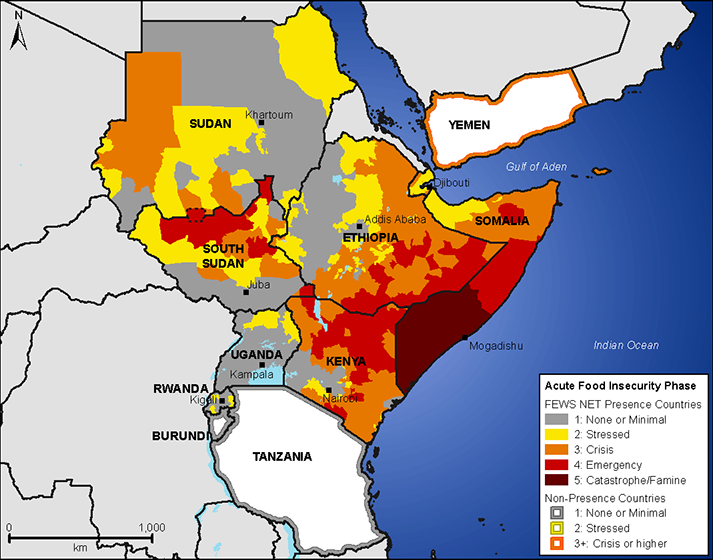 Already one of the world’s poorest countries, famine and disease will compound the hardships Somalis suffer on a daily basis and could threaten recent gains made in the political and security realms. Al-Shabaab, an al-Qaeda-linked militant group, rules over much of the drought-stricken area and has attempted to reinforce its legitimacy by distributing aid. Today’s aid delivery from the Turkish Red Crescent will be enough to feed 3 million people for a month. But with no end to the drought in sight, the international community has been urged to do more to prevent a humanitarian disaster. Indian PM Narendra Modi will inaugurate the new metro in Kochi on Saturday. Modi will be the first official passenger on the train, which began construction in 2012. 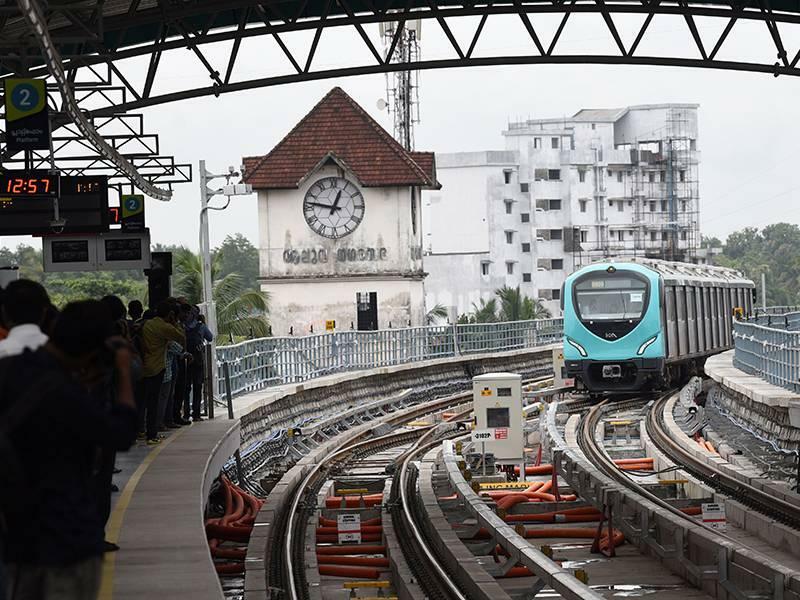 The completion of the Kochi Metro is just one part of a nationwide effort to boost India’s railway infrastructure, which has lagged behind the country’s economic growth. Earlier this year, Mr Modi earmarked $59 billion for rail modernisation, as well as airport and road projects. The prime minister has also sought to inject new life into the largely state-owned industry by selling off shares in rail companies. Additionally, state-owned Indian Railways recently announced it will end the monopoly of another government conglomerate—the Steel Authority of India—and begin purchasing $700 million worth of steel from the private sector. Today’s opening in Kochi is not without controversy; local officials have accused PM Modi of snubbing legislators and the metro company’s top advisor by stealing the spotlight at Saturday’s opening. The move further highlight’s the Indian leader’s desire to show that infrastructure investment is paying dividends under his watch. 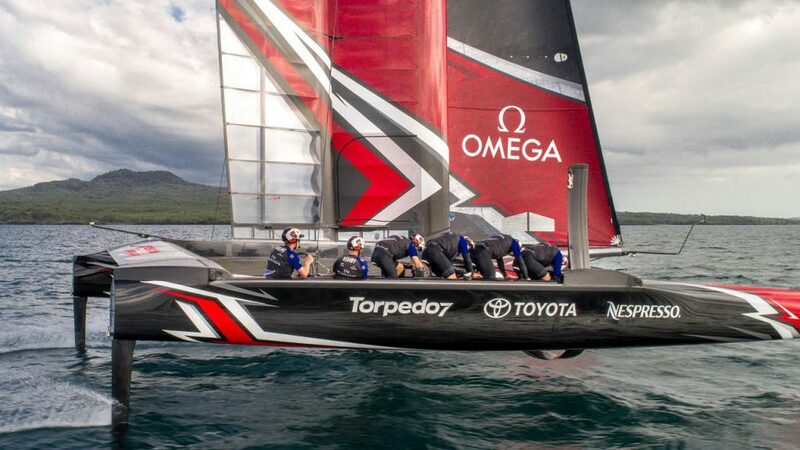 A lighter note to kick off your weekend: the 35th America’s Cup will be held in Bermuda today. The yacht race will see defending champions Team USA face off against New Zealand for the top prize in a rematch of the 2013 final. Team New Zealand made it to the final after two harrowing weeks of qualifying races, including when their boat capsized in a race against the British team. They have made it to a final that features not only a sporting rivalry but a national one: while their challengers are nominally from the US, the vessels are mostly crewed Australian, including Olympic champion helmsman Jimmy Spithill. Along with grit and determination, the New Zealand team has employed a healthy dose of innovation; rather than solely relying on the wind, they’ve employed foot pedals to propel them to the championship. Neither team is seen as having an advantage going into Saturday’s race—if the Kiwis are victorious more racers may consider adapting their innovation. Finally, a message from the editors: if you enjoyed this final segment and would like to see more of this type of content, please let us know by simply tapping here.